Does your Leonia home or business have mold and in need of remediation? If so, you came to the right place. Aware of mold’s vicious cycle and sensitive to a homeowner’s distress and health concerns, we understand that mold is a quiet but very real emergency. We recognize that the invasion of mold not only eats away at property, but can jeopardize human health, and we do whatever it takes to remove this hazard with minimal disruption to the occupants. Our mold remediation process benefits property and people. 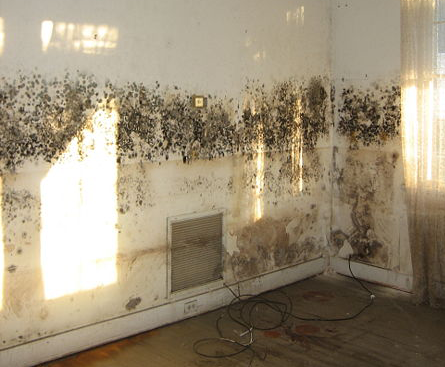 Read more about our Mold Remediation process. 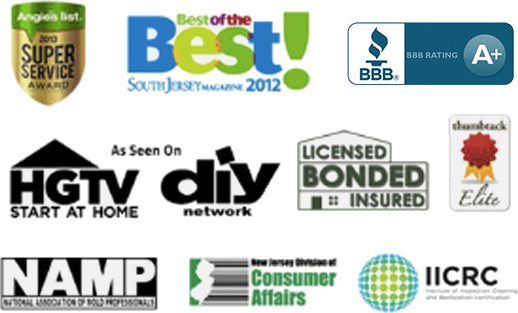 Read reviews & testimonials from our Leonia customers and see for yourself why you should call us. Thank you so much PuroClean for taking the time to explain my mold situation and help fix the problem. I have had a leaky pipe in my basement for as long as I can remember, but finally no leak and no mold. I would recommend PuroClean to anyone looking for a professional and knowledgeable company to help with their mold issues. Thanks again guys. I called PuroClean because I needed to get rid of mold fast. They were there within a couple of hours to talk me through the process. Will call again if need be! A friend recommend PuroClean’s services to me when I was in a desperate situation. So glad I called them and the problem was fixed quickly. I can’t thank you guys enough for the work you did in my garage. I can actually breathe again while working in there. PuroClean is a national company with local offices, specializing in Water Damage Cleanup & Restoration. We also remediate damage caused by smoke, fire, biohazard and conduct mold remediation. PuroClean of North Jersey is locally owned and operated by NJ native Jeff Uddo and his team of trained and certified technicians. Jeff and his Water Damage Cleanup & Restoration team have helped thousands of homeowners and businesses clean up the damage left from sewage. Call us today to work with a local company backed by a national franchise. "Very thorough and patient. Explained process and conditions. Friendly. Will certainly recommend their servies." "The best, efficient. From start to finish - very professional."